Here's a look at what happened on this day in history. Today is Monday, Oct. 29, the 302nd day of 2018. There are 63 days left in the year. On Oct. 29, 1929, “Black Tuesday” descended upon the New York Stock Exchange. Prices collapsed amid panic selling and thousands of investors were wiped out as America’s “Great Depression” began. In 1618, Sir Walter Raleigh, the English courtier, military adventurer and poet, was executed in London for treason. In 1787, the opera “Don Giovanni” by Wolfgang Amadeus Mozart had its world premiere in Prague. 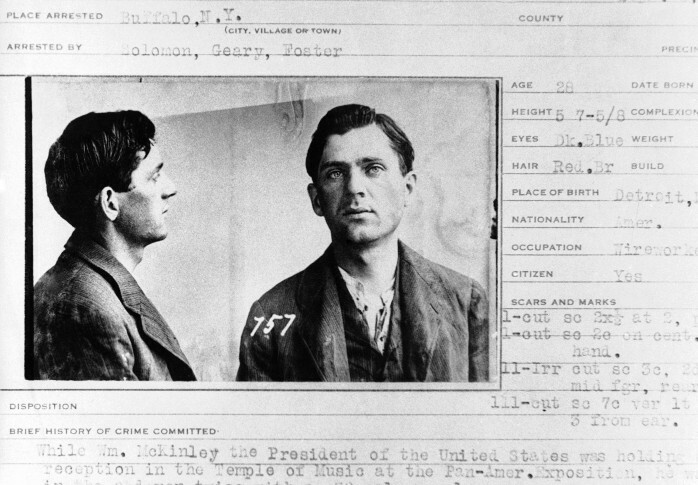 In 1901, President William McKinley’s assassin, Leon Czolgosz (CHAWL’-gahsh), was electrocuted. In 1923, the Republic of Turkey was proclaimed. In 1956, during the Suez Canal crisis, Israel invaded Egypt’s Sinai Peninsula. “The Huntley-Brinkley Report” premiered as NBC’s nightly television newscast. In 1960, a chartered plane carrying the California Polytechnic State University football team crashed on takeoff from Toledo, Ohio, killing 22 of the 48 people on board. In 1979, on the 50th anniversary of the great stock market crash, anti-nuclear protesters tried but failed to shut down the New York Stock Exchange. In 1987, following the confirmation defeat of Robert H. Bork to serve on the U.S. Supreme Court, President Ronald Reagan announced his choice of Douglas H. Ginsburg, a nomination that fell apart over revelations of Ginsburg’s previous marijuana use. Jazz great Woody Herman died in Los Angeles at age 74. In 1998, Sen. John Glenn, at age 77, roared back into space aboard the shuttle Discovery, retracing the trail he’d blazed for America’s astronauts 36 years earlier. In 2004, Osama bin Laden, in a videotaped statement, directly admitted for the first time that he’d ordered the Sept. 11 attacks and told America “the best way to avoid another Manhattan” was to stop threatening Muslims’ security. In 2012, Superstorm Sandy slammed ashore in New Jersey and slowly marched inland, devastating coastal communities and causing widespread power outages; the storm and its aftermath were blamed for at least 182 deaths in the U.S. Ten years ago: A 6.4-magnitude earthquake in southwestern Pakistan killed at least 215 people. Nearly 50 hours after Game 5 started but was stopped by rain, the Philadelphia Phillies finished off the Tampa Bay Rays 4-3 in a three-inning sprint to win the World Series for the first time since 1980. Five years ago: Medicare chief Marilyn Tavenner, whose agency oversaw the “Obamacare” enrollment website, apologized to Congress for the severe technical problems that marred the online rollout of President Barack Obama’s health care overhaul. The U.N. confirmed an outbreak of polio in Syria for the first time in over a decade, warning the disease threatened to spread among an estimated half a million children who had never been immunized because of the civil war. One year ago: All but 10 members of the Houston Texans took a knee during the national anthem, reacting to a remark from team owner Bob McNair to other NFL owners that “we can’t have the inmates running the prison.” The head of Puerto Rico’s power company said the agency was cancelling its $300 million contract with a tiny Montana company to restore the island’s power system; the company was based in the hometown of Interior Secretary Ryan Zinke. Dennis Banks, who helped found the American Indian Movement and took part in sometimes-violent uprisings against the U.S. government, died at the age of 80.